Here’s an easy summer dessert… Red Berry Trifle with layers of fruits jelly, red berries, pastry cream, biscuits, and whipped cream. 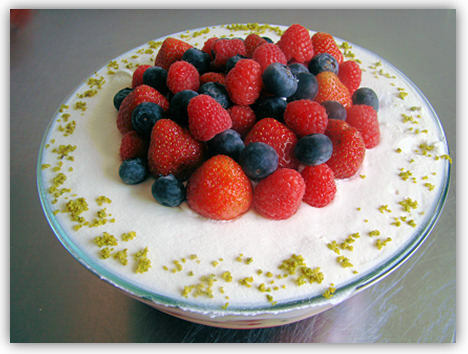 Watch the video that shows how I make the trifle… Enjoy! Just download the Red Berry Trifle recipe guide (ebook) below and follow the step-by-step instructions. 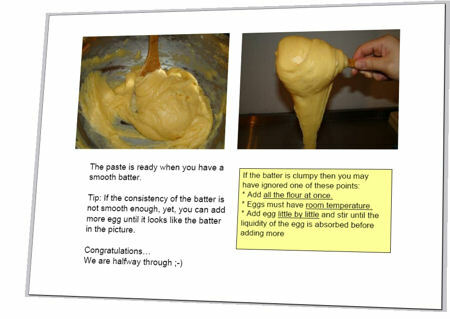 Copyright © 2011 PastryFriends.com. All rights reserved. 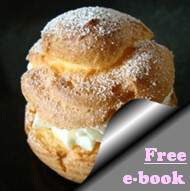 Surprise Your Family and Friends... Make Delcious Cream Puffs! "I made the cream puffs the other day and my family absolutely loved them!…They couldn’t believe i made them from scratch so thanks for that!" "Thank you so much!! I followed your recipe and the cream puffs came out delicious ^^ my family loved them, they dissappeared so quickly."